Everyone loves Amy Adams don’t they. She was great in Drop Dead Gorgeous and funny in Enchanted. 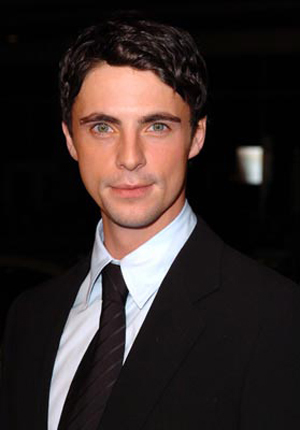 Matthew Goode has been in loads of British TV dramas and was Ozymandias in Watchmen. Now they are in a new movie, which promises to break out from all the romantic movie cliches you usually get in a film like this. When their four-year anniversary passes without a marriage proposal, Anna (Adams) decides to take matters into her own hands. Investing in an Irish tradition that allows women to propose to men on February 29th, Anna decides to follow her boyfriend Jeremy (Adam Scott) to Dublin and get down on one knee herself. But airplanes, weather and fate leave Anna stranded on the other side of Ireland, and she must enlist the help of handsome and surly Declan (Matthew Goode) to get her across the country. As Anna and Declan bicker across the Emerald Isle, they discover that the road to love can take you to very unexpected places. My mistake. It does have all those romantic movie cliches you have come to expect from these kind of movies. Anna meets surly Declan. They argue, get on each others nerves, a bit of slapstick, they’ll probably get all their clothes wet or something and have to spend the night together in an uncomfortable position (like the back of a volkswagon!) They’ll argue some more, he won’t tell her something important, they get closer and fall for each other, then that important thing he didn’t say crops up and she runs away or tells him to get stuffed. She meets her intended but at the last minute Declan will turn up on the back of a tractor or something and reference something from earlier in the movie. The end. Oh and there will be some crazy stereotypical Irish folk, Guinness, and a scene involving a cow or another animal with hilarious consequences. I wrote that last two paragraphs without watching the trailer. Then I watched the trailer…sigh! Off the top of my head I’m getting 27 Dresses, The Proposal, PS I Love You, The Ugly Truth, Pretty Woman, Notting Hill, How to Lose A Guy in 10 Days, Along Came Polly, The Holiday, Wedding Planner, Made of Honour, My Best Friend’s Wedding, The Wedding Date and so on and so forth….note to self: Stop watching so many romantic comedies. Did I miss any?